Winged Snail: Bread Baking Day #44: Round up! So many delicious loafs of bread this month! It looks like everyone had fun with the autumn theme this month! Lets get right to bread! Backyana, from German, got in the spirit when she made a delicious looking loaf of pumpkin bread. 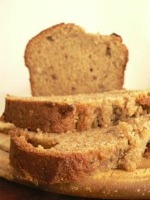 Reshmi, also from Germany, got adventurous with her healthy whole wheat banana loaf. 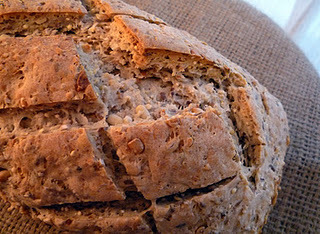 Another adventurous German, Stefanie, entered this awesome three grain bread with cider. 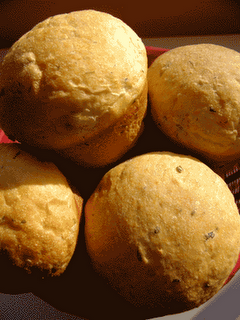 Continuing in the healthy trend, is American Heather with her whole wheat pumpkin rolls. Cathy, from the USA, thought that pumpkin rolls were the way to go this month as well, thus she baked up some pumpkin yeast rolls. In a very different and interesting vein is Connie, from Thailand with her Kanelbullar with Cardamon and Cinnamon. 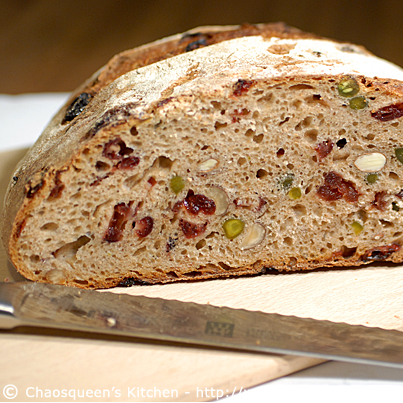 Chaosqueen, from Germany, made this awesome looking loaf with cranberries. Tristen, living in England, baked an awesome rustic loaf this month. In contrast to Tristen's rustic loaf, Pamira, from Spain, made a light and elegant pizza. The theme was interpreted in yet another way when Sravani, from the USA, made this apple bread. It seems like American Judy, enjoyed this month's theme and enjoyed the Herbed Carrot Clover Leaf Yeast Breads she baked this month. 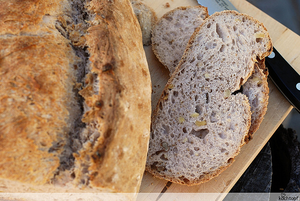 Priya, from France, made some awesome looking Herbed Whole Wheat Bread. Cinzia, from Italy, made Grissini. 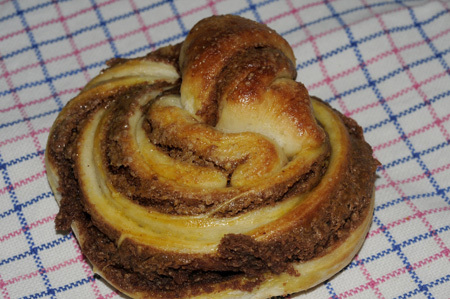 Manuela, from Brazil got into the theme with Pumpkin and nut swirl buns. 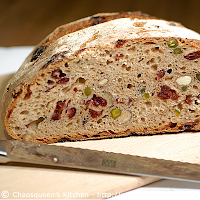 Zorra, the creator of BBD, made an awesome Bread with Walnuts this month. Of course there is my Autumn bread. Multigrain Sour. I love the varied interpretations of the theme this month. Creativity rocks! Thanks everyone for participating! Thank you for hosting this event and congratulations for the result. Also want to thank for all the trouble I give you, you were fantastic! Now we'll be waiting for Cinzia's challenge and for BBD#45! Congratulations to all, for you delicious breads and loafs. They are mouthwatering! Thank you all for participating and thank you Sarah for hosting!